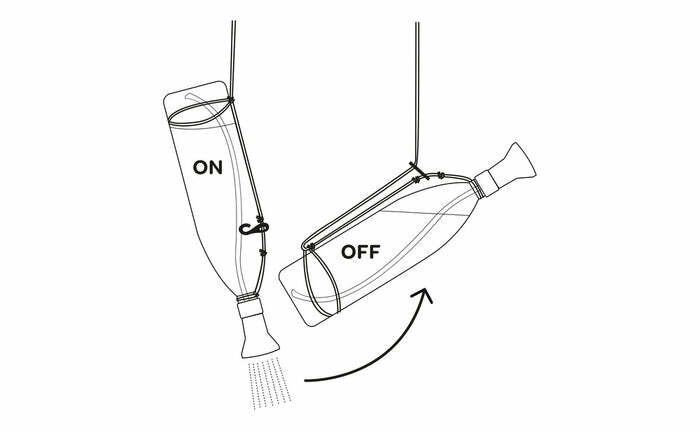 Bottleshower™ Cord Hanging Harness for 1.5/2litre bottles – Freeflush Rainwater Harvesting Ltd. Depending on the location and situation this handy rope hanging harness can be used for camp showers to suspend larger 1.5 and 2litre bottles for hands free showering if preferred. 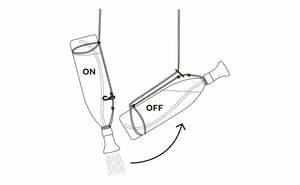 The simple instructions show how to suspend your bottle for on or off flow. The harness comes pre knotted with hooks in place for ease of hanging, ready to go in seconds. This 1500mm long twin cord harness with hooks at each end can also be used as a washing line.